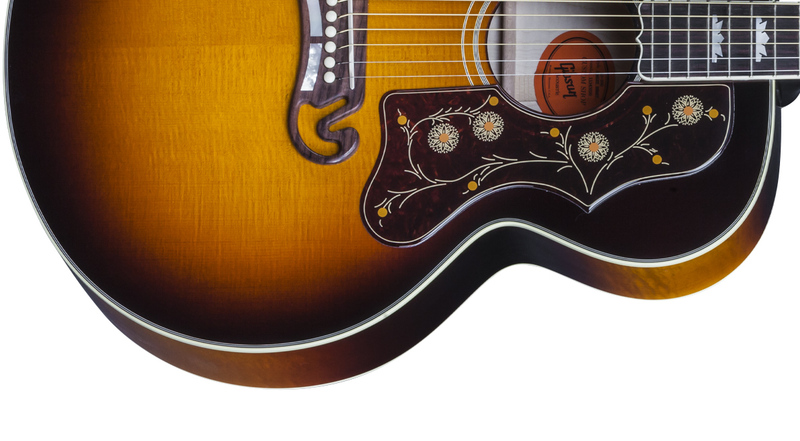 This gorgeous SJ-200 honors the beauty and elegance of the King of the Flat-tops! 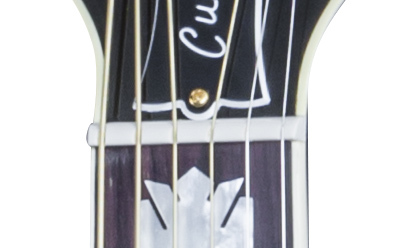 This Limited Edition features upgraded, hand-finished detailing in mother-of-pearl as well as select curly maple back and sides. 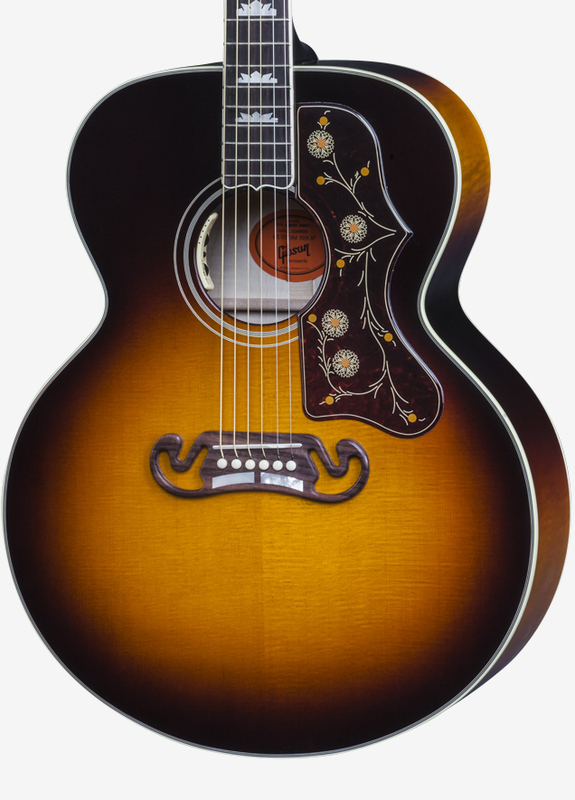 Part of Gibson Acoustic's October Limited Run Series, this model elevates the iconic SJ-200 model to a true custom-level piece. 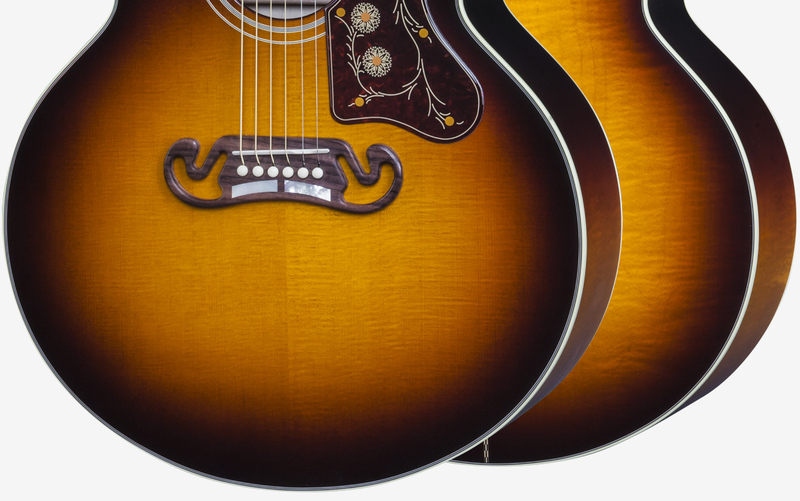 The SJ-200 Sunset burst is available for a limited time and only 40 hand-crafted instruments will be produced. 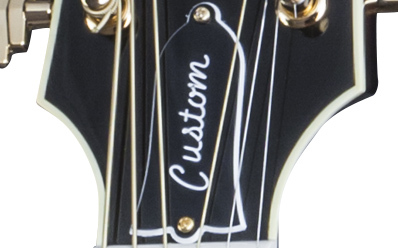 Be sure not to miss this iconic instrument offered in a truly new and unique look! 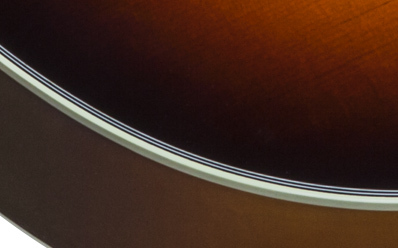 Rare Sunset Burst finish The luthiers of Gibson Acoustic created the custom Montana Sunset Burst finish. 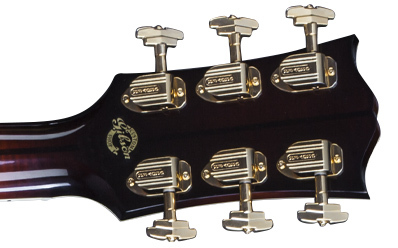 Softened fingerboard edge Gibson Acoustic "breaks" or "rolls" the edges of the fingerboard into the curve of the neck profile for a sublimely comfortable playing feel. Smoother, higher-gloss finish The use of finer grit sandpaper and polishing compounds in a laborious hand-rubbed process results in a smoother high-gloss finish. 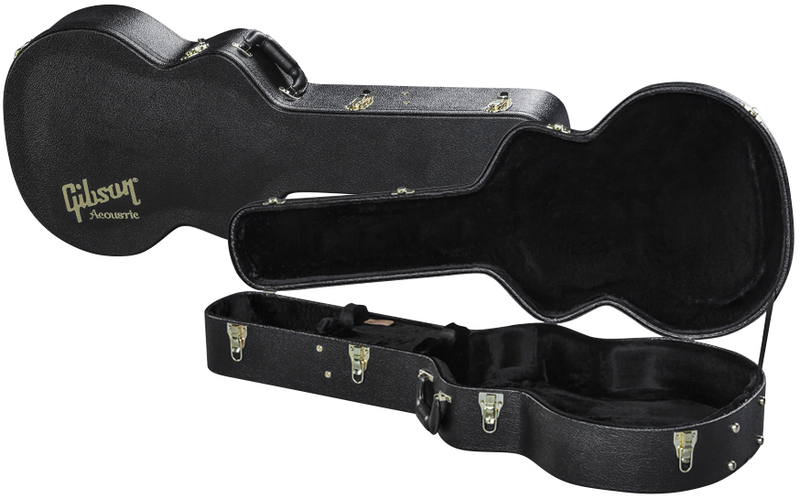 State-of-the-art Plek setup Our German-engineered Plek system is used for final setup on all Gibson Acoustic guitars, for an unparalleled playing feel. 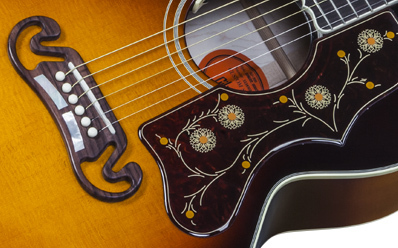 Hand-rubbed oil finish on fingerboards and bridges Deeper penetrating oils hand-rubbed into critical wood components yield smoother and more durable fingerboards and bridges. 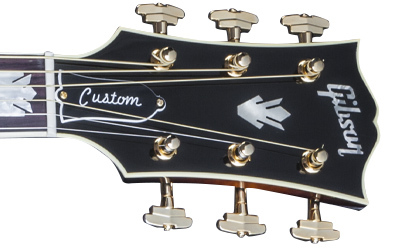 Custom-level detailing Custom-grade mother-of-pearl inlays make this Limited Edition a true tribute to the King of the Flat-Tops. Award-winning pickup The L.R. Baggs Anthem system accurately translates this SJ-200's exalted tone to your amp, PA or recording interface of choice. Thickness at Fret 1: 2.075cm / .817"